Android Lollipop is official. It has been announced, and the rollout is set to begin. First, Lollipop will be made available to assorted Nexus devices from 17th October, as a near-final Developer Preview. Then, once the gold master is complete, it is likely to be rolled out to Nexus devices, Google Play Edition devices, then Android One and Moto handsets from Motorola. After that, the updates built by the various handset manufacturers, incorporating all their own software customisations, will be released over the coming months. If you’ve got the Xposed Framework installed, there’s two things you need to know before you update to Lollipop. Instead, you can disable the tool and lave it disabled. Let’s show you how. When you get the notification telling you that an over the air update is available, download it but don’t install. 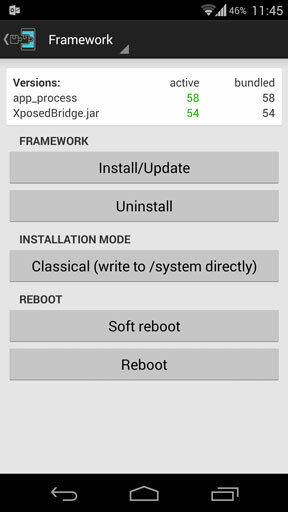 Open the Xposed Installer app and tap on the Framework button. Now click the Uninstall button. This will uninstall the Xposed Framework from the system, but will leave the app itself, along with your modules and their configurations in place. 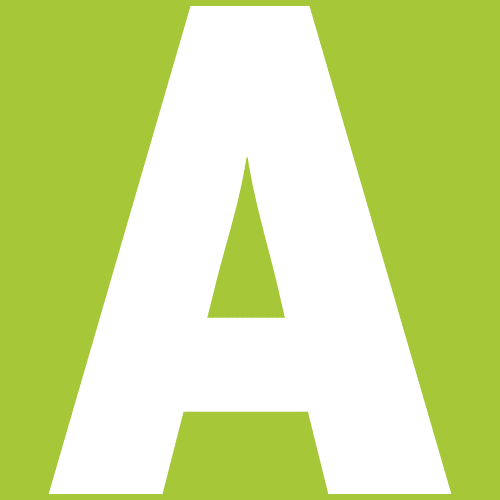 In effect, it is disabling the Framework rather than removing it. All your modules will now be disabled, so you won’t be able to benefit from them. As soon as you activate the Framework in future, they will start working once again, right from the placed you left off. You will need to reboot your device before the changes take full effect. Before you do that you will also need to disable root mode too. OTA updates often will not take if your device is rooted. We’re using SuperSU—open the app and swipe to the Settings tab. 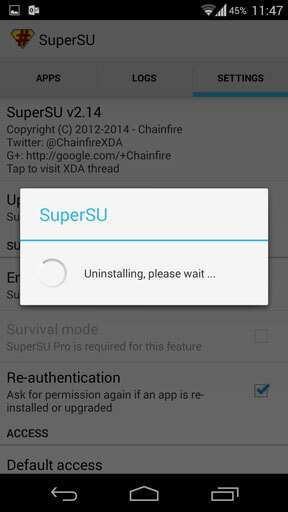 Now tap to clear the Enable Superuser checkbox. This will effectively unroot your phone temporarily. Now reboot your device. You can now install the OTA update when prompted. Flashing an update will often cause your device to become unrooted, so you may need to go through the full root process once again, especially if your custom recovery has been overwritten. 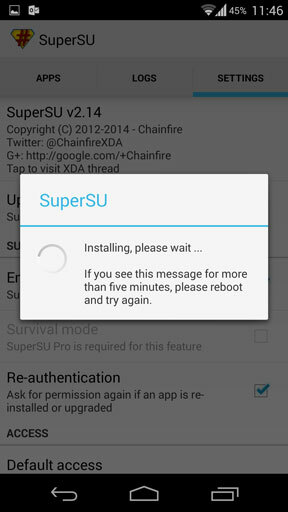 Otherwise, you can re-enable root by going to the SuperSU app and tapping the Enable Superuser option. If you get an error message, you will need to re-root. As mentioned, at the time of writing the Xposed Framework is not compatible with Lollipop. Therefore you should not re-enable it after flashing the update. However, once it does get updated, and you install the new update on top of the old version, you can re-enable it. Go back into the Xposed Installer app and tap Framework. Tap Install/Update, followed by OK when prompted. Xposed will now be re-enabled and your phone will reboot. Your modules will now be working once again—you’ll need to check compatibility and disable or update some fi they cause problems with your new OS.